There are quite a few myths about hair loss in men. Below are a few myths and facts associated with hair loss in men that have been debunked to help you better understand and get the right treatment. It is a complete myth. Genes of both parents are a contributing factor. It is not the fault of one specific person. If your parents and siblings show signs of thinning hair and baldness, you need to start paying attention to your hair. Men who are bald and men who are not have the same levels of testosterone. It is the sensitivity of the hair follicles to the hormones in your body that determines hair fall. Wearing a hat or cap does not cause hair loss. Having said that, you need to keep your head gear clean to avoid infections on the scalp, that could result in hair loss. Extreme stress can cause hair fall, but not male pattern baldness. The hair loss is only temporary until the time the stress has been eliminated or reduced. There is some truth to this myth. There is protein loss via seminal fluid and since hair is mainly made of protein, hair may fall off due to any kind of protein deficiency. But, you will need to be addicted to masturbation to experience hair loss. Shampooing frequently has no effect on hair loss. Hair loss during shampooing is quite normal and should not ring any alarm bells. In the same way not washing hair frequently has no adverse effect. 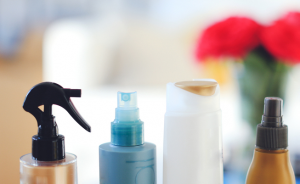 Hair Products do not affect hair loss. You can use any styling product you like but harsh treatment like straightening and chemicals found in dyes can result in hair becoming weak and breaking off. Taking vitamins or rubbing vitamin oils, or powder on the scalp does not enhance hair growth or hair loss. The length and growth of hair depends on the hair cycle, genetics and nutrition. Cutting hair may make the hair look thicker but is in no way associated with hair growing or not growing.